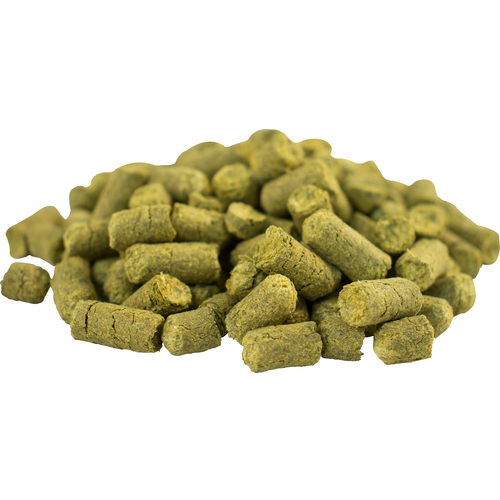 Willamette is one of the most popular hops amongst all types of brewers for its versatility and well-rounded aroma. The moderately spicy, floral and fruity notes compliment just about any style of beer and also blend beautifully with other hops in your recipe. Give Willamette a try in your next American Ale, Golden Ale, or Brown Ale brew. Great universal hop. Good for stouts, browns and porters. Great dual purpous hop. I make a SMaSH beer with 100% Vienna and this hop. Fermented with American Alem English Ale, and Saison Yeasts, Always comes out great! Excellent American Aroma hop for amber and dark beers. Willamette is probably my most used hop variety. Very versatile. My favorite hops, for a lot of different styles. Not bad, lacked the bite of other hops. Maybe best for aroma. Great Hopps. I am sure it will contribute to a great tasting beer. Good in every brew I have used it in! Great in pale ales and mild brown ale! Very good used with cascade, and other hops as it blends very well! Great hops delivered very fast. More beer always seems to have quality ingredients. This works well in a large variety of styles where a mild bitterness is the target. I was told once that Williamette is the U.S. version of Fuggles. Adds a real nice fruity, spicey finish to my Ales. Great for English styles and Brown ales. This hop can be used for anything and isn't very aggressive. You can use this in almost any style of beer. Was great in my english brown. Great hop. Very versatile. It's slightly floral, slightly spicy, slighty herbal, slightly fruity. Very well rounded generic hop profile. I use it all the time as a late addition or instead of Styrian Goldings. You do get a weird minerally and spicy flavor if you dry hop with it. That will diminish, but I wouldn't use too much in a dry hop. A little maybe, but I thought a half ounce in 4 gallons was a bit much on the herby, minerally thing. A nice versatile hop for browns, stouts, porters and barely wines. Also a good blending hop in pale ales and IPA's. Be careful on the dry hop as it can be a little grassy if overdone.